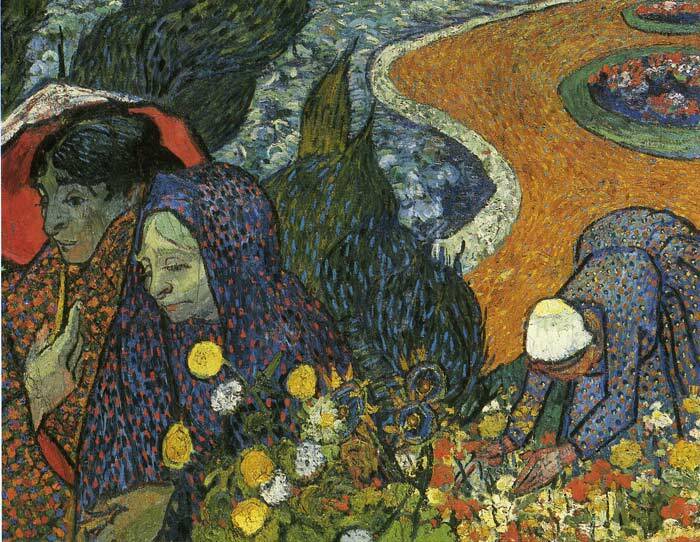 In Ladies of Arles Van Gogh is moving beyond impressionism to a more forceful and more personal use of colour and symbolism. Van Gogh used intense, striking colours and dynamic brush strokes in thick layers of paint to create this masterpieces ( Ladies of Arles ). SPECIAL NOTE : The painter will make the reproduction as close to the original oil painting as possible. If you want your painting to alter from this likeness, please email us and " Ladies of Arles, 1888 " will be reproduced according to your special requirements.